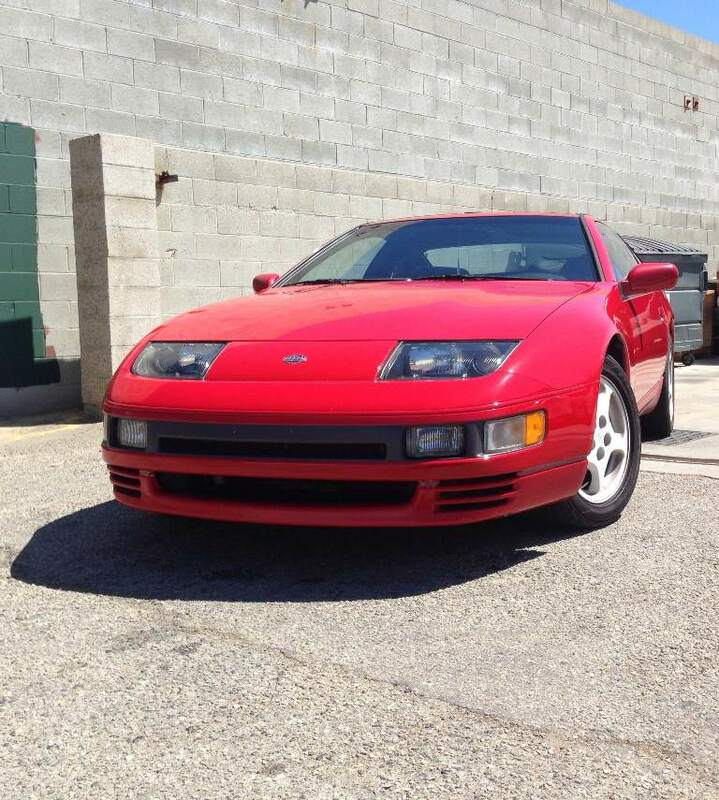 This red 1990 Z32 TT came to us from Oregon with just an HKS Hyper Catback on it and over 160k on the odometer. We performed some simple upgrades and maintenance to keep it running stronger for another 20 years. We upgraded to NISMO 740cc fuel injectors, cleaned up the engine bay, replaced all water & air hoses, valve cover seals, etc. 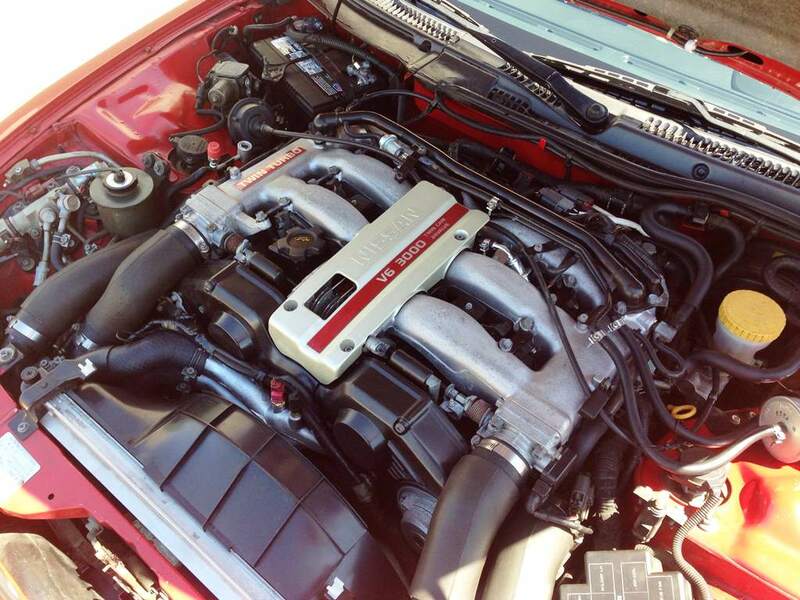 Pre-cats were upgraded to SZ 4-Bolt Down Pipes mated to SZ 3″ to 2.5″ HFCs and existing HKS catback. SZ Sport Street Clutch and SZ Flywheel were also installed to hold the new found power. 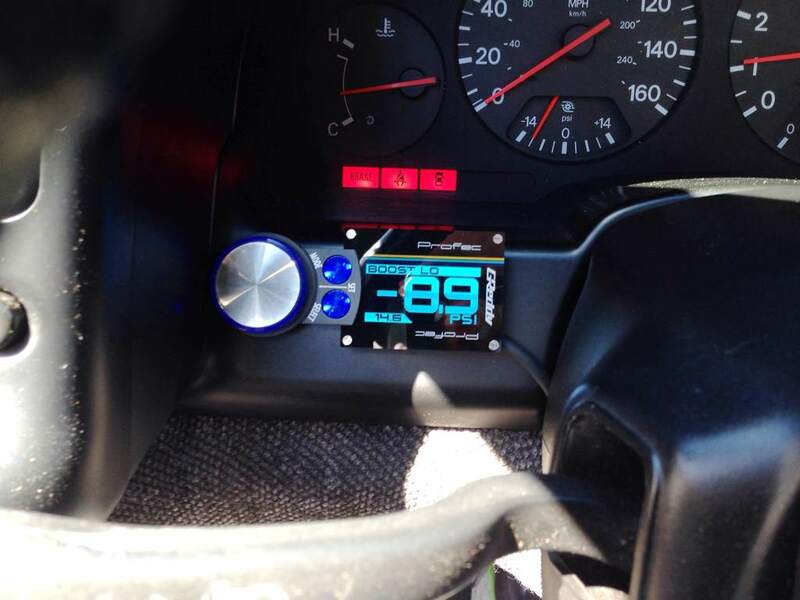 A single JWT POP Charger was also installed and the new colorful Greddy Profec Boost Controller was installed to the left of the steering column. Baseline pull in blue and our upgraded pull in red. 120+ pound feet of torque at 4500 RPMs! Not your run of the mill TT 370Z. 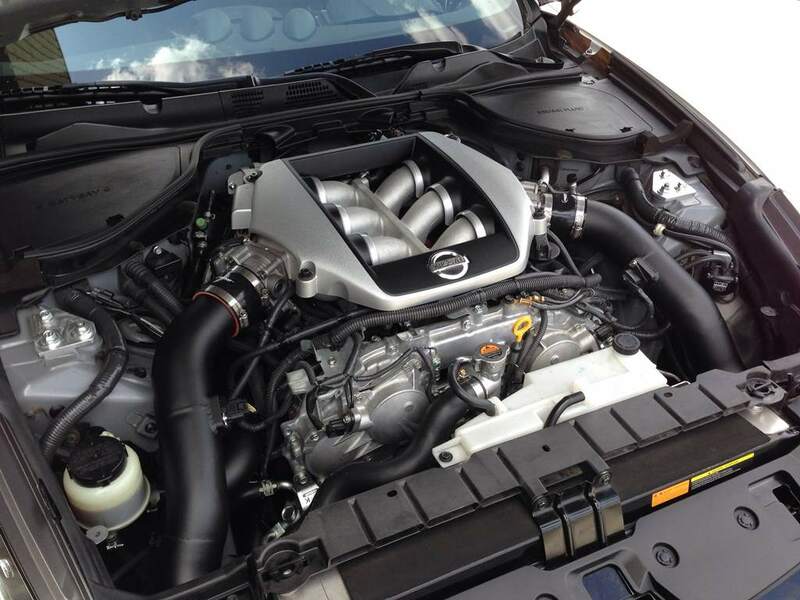 John’s Z features a built engine, GTM Stage 3 TT Kit featuring the use of GT3071R (T25) turbochargers on .64 A\R turbine housings and T04B housings. Swapping both the compressor and turbine housing would allow for less back pressure and more power. However, we can’t complain with the results once we straightened this beast out! We modified a few things in the GTM kit. For one we moved the placement of the BOVs. 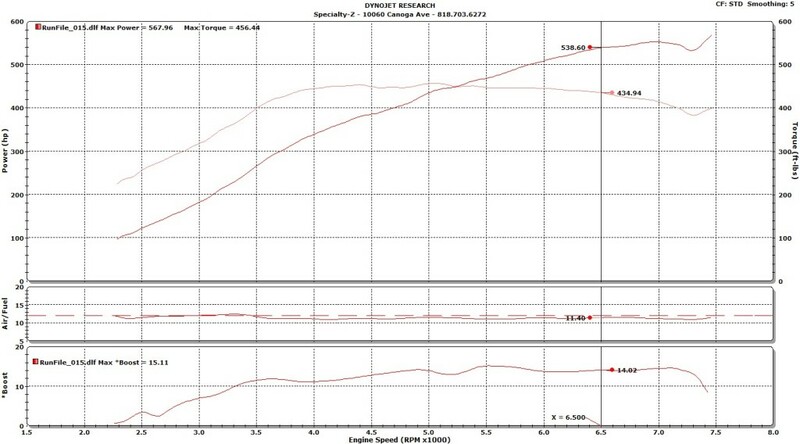 They were located extremely close to the MAF sensors causing drivability and tuning issues. We also removed the water injection system, improved fitment of a few pipes, and powdercoated the pipes black from their original polished look. Silicone couplers were also all swapped out in favor of Vibrant brand couplers. Fixes are pictures above. 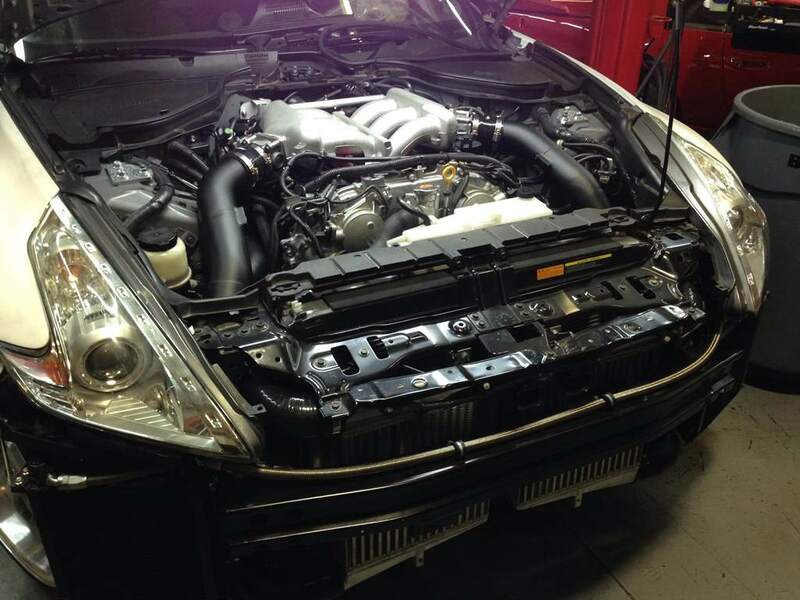 Another thing you may or may not have noticed is this Z also sports an R35 GTR intake manifold made possible by GTM. 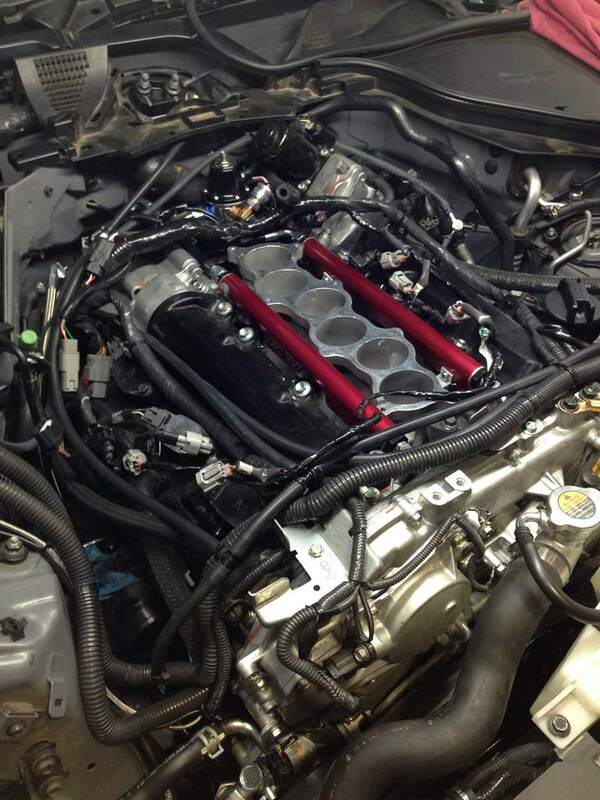 The custom lower plenum that makes it possible to run a GTR intake manifold. We removed it to weld up the holes (pictured) for the old water injection system. No need to run water\meth now that we converted this Z to ethanol. GTM fuel rails feed Bosch 1000cc fuel injectors. 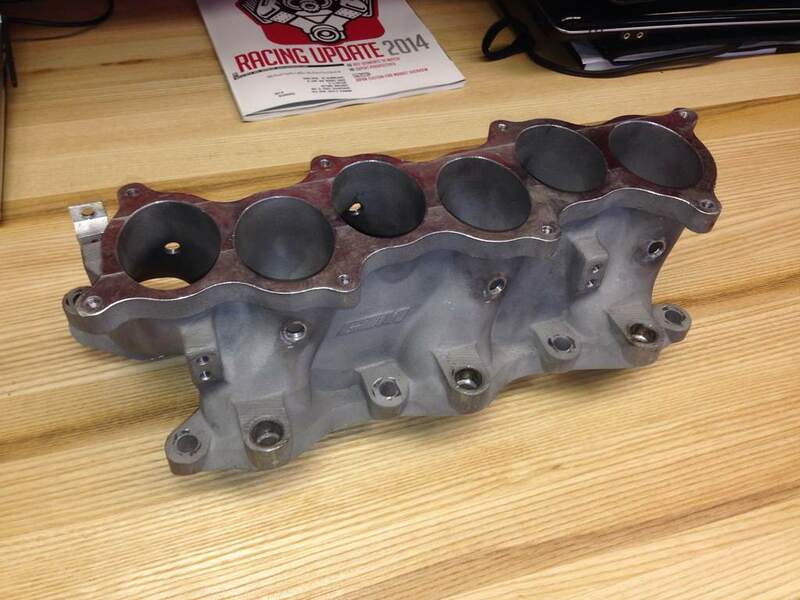 Feeding the rails and injectors is the CJ Motorsports twin pump fuel assembly. 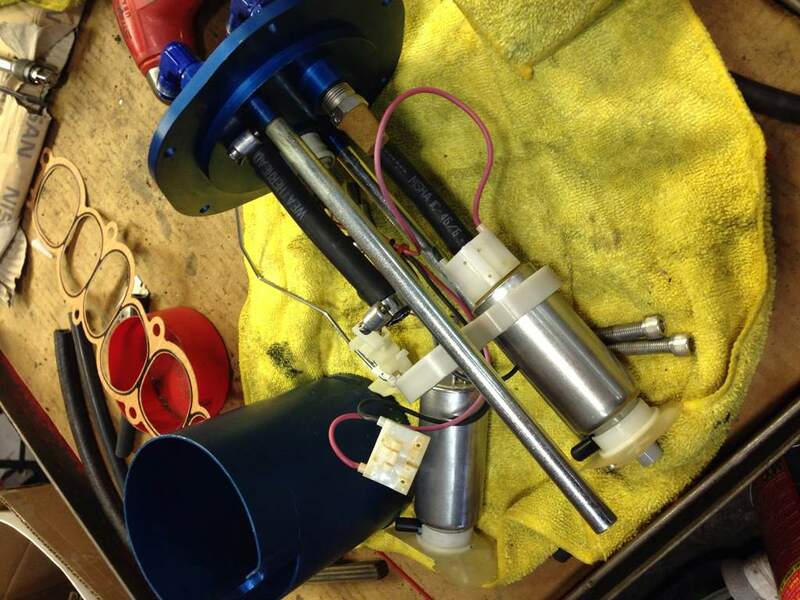 Two Walbro fuel pumps feed the system. We swapped one of the 255s with a 485. 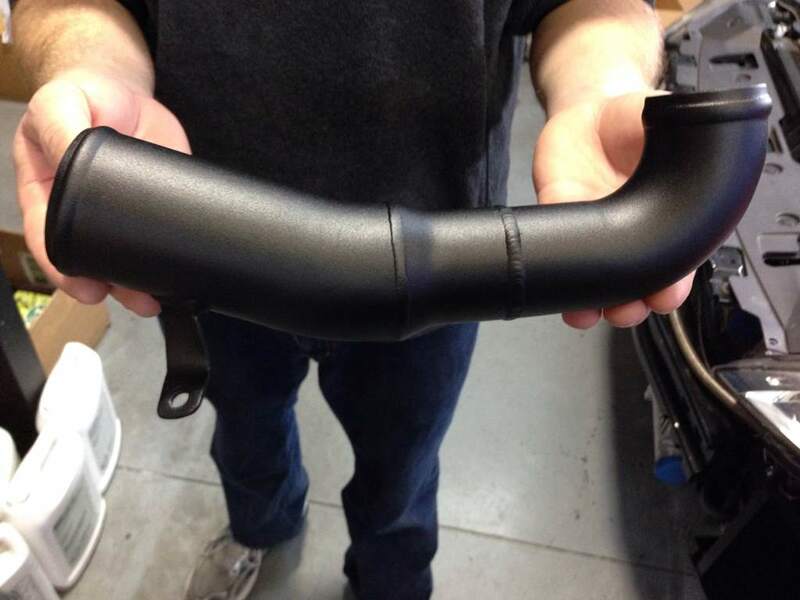 One of our modified pipes finished in powdercoated black. 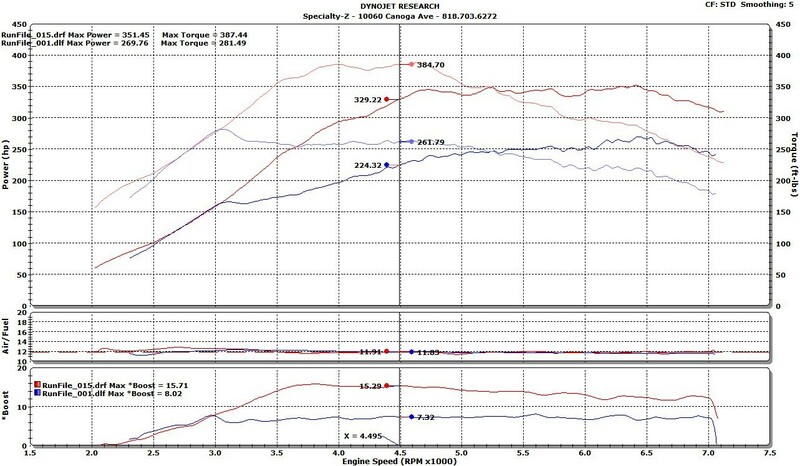 Peak boost of 15 psi, average of 14 psi we managed 567 whp. This is for 91 octane. After this we began working on the ethanol tuning. 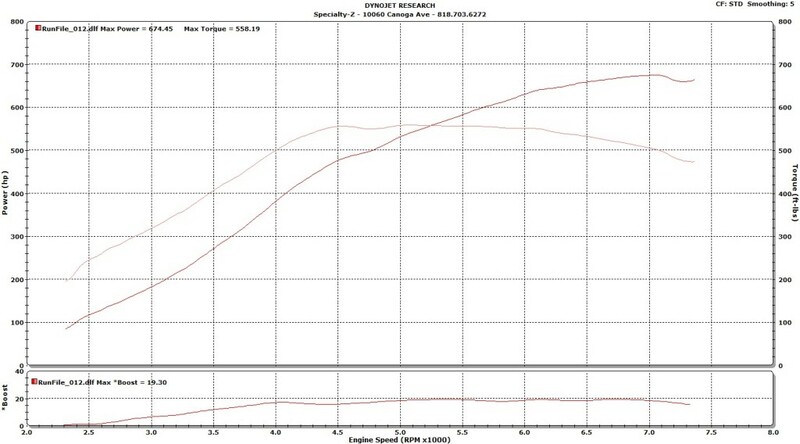 18 psi for 615 whp (ethanol fuel), we slowly worked our way up. 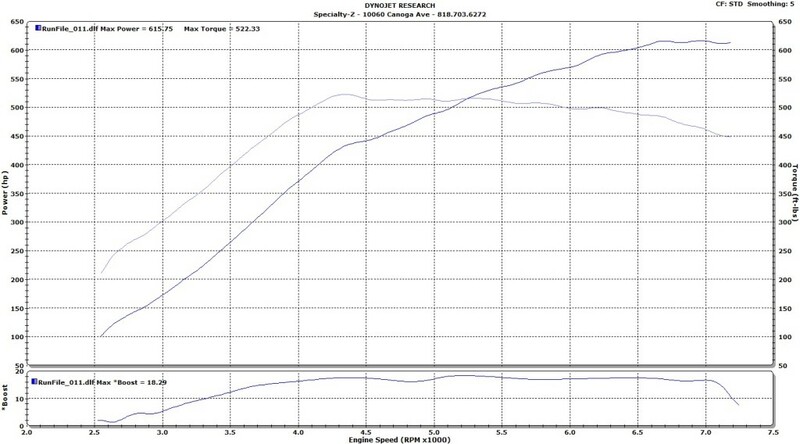 19 psi for 674 whp. 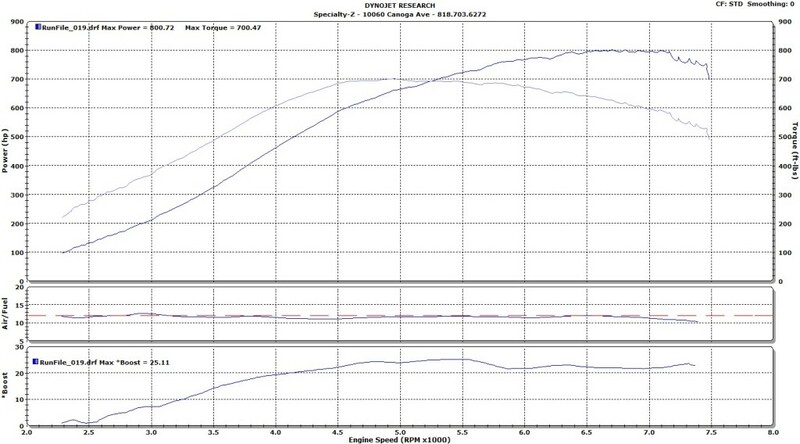 21 psi for 706 whp. Fully cranked up we managed a peak boost pressure of 25 psi, dropping past 5500 RPMs in part due to the compressor and turbine housings. Just enough to make 800 whp and 700 pound feet of torque.